Ahead of the official Mi Max 3 unveiling that’s set to take place on July 19, Xiaomi has posted the first official render of the large smartphone which shows off the previously-rumored design and also reveals the various color options. Just as expected, the Mi Max 3 will sport a huge display that sports an aspect ratio of 18:9, thus avoiding any kind of notch up top. Nevertheless, it's worth noting that relatively thick bezels that are still present above and below the 6.9-inch LCD display, something that could ultimately affect the handling of the device. Switching over to the rear, the Mi Max 3 adopts the same design as most of Xiaomi’s recent offerings. This means an aluminum build that sports a circular fingerprint scanner towards the center, and a vertical dual-camera setup in the top corner, the latter of which boasts a main 12-megapixel sensor and a secondary 5-megapixel module. Also, it’s worth noting that up front there is an 8-megapixel selfie camera. 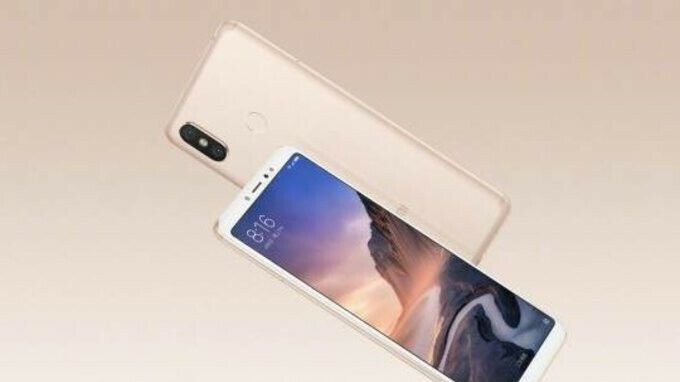 Observing the rumored spec sheet, fans of the Mi Max line can expect a Snapdragon 636 on the inside coupled with 3GB of RAM and 32GB of storage, or 4GB of RAM and either 64GB or 128GB of storage. Interestingly, however, a separate offering dubbed the Mi Max 3 Pro may ship with the more powerful Snapdragon 710 processor, 6GB of RAM, and 128GB of internal storage. In either case, keeping the lights on should be a huge 5,500mAh battery, which itself will be backed up by Android 8.1 Oreo and MIUI 9.6 straight out of the box. As of now, we are let to learn how Xiaomi will choose to price its next-generation smartphone but, if these renders are anything to go by, the low-cost brand looks set to offer the Mi Max 3 in black, blue, and gold. When big screen phones are rising, tablets are slowly dying.